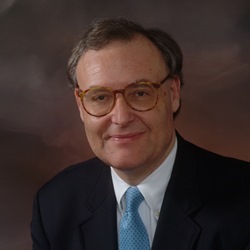 John Gabrieli is the director of the Athinoula A. Martinos Imaging Center at the McGovern Institute. He is an Investigator at the Institute, with faculty appointments in the Department of Brain and Cognitive Sciences and the Harvard-MIT Division of Health Sciences and Technology, where is holds the Grover Hermann Professorship. He also has appointments in the Department of Psychiatry at Massachusetts General Hospital and the Harvard Graduate School of Education, and is the director of the MIT Integrated Learning Initiative. Prior to joining MIT, he spent 14 years at Stanford University in the Department of Psychology and Neurosciences Program. He received a Ph.D. in Behavioral Neuroscience in the MIT Department of Brain and Cognitive Sciences in 1987 and a B.A. in English from Yale University in 1978. The goal of our lab is to understand principles of brain organization that are consistent across individuals and those that vary across people due to age, personality, and other dimensions of individuality. Therefore, we examine brain-behavior relations across the life span, from children through the elderly. Our primary methods are brain imaging (functional and structural), and the experimental behavioral study of patients with brain injuries. The majority of our studies involve functional magnetic resonance imaging (fMRI), but we also employ other brain measures as needed to address scientific questions, including electroencephalography (EEG). Much of our research occurs at the Martinos Imaging Center at the McGovern Institute at MIT, which is affiliated with the Athinoula A. Martinos Center for Biomedical Imaging. The Martinos centers are a collaboration among the Harvard-MIT Division of Health Sciences and Technology (HST), the McGovern Institute for Brain Research, Massachusetts General Hospital, and Harvard Medical School. Our affiliations with these outstanding research institutions promote the opportunity for cutting-edge basic cognitive neuroscience research and translation from basic science to clinical application. Chai XJ, Ofen N, Jacobs LF, Gabrieli JD. Scene complexity: influence on perception, memory, and development in the medial temporal lobe. Front Hum Neurosci. 2010 Mar 5;4:21. Hedden T, Gabrieli JD. Shared and selective neural correlates of inhibition, facilitation, and shifting processes during executive control. Neuroimage. 2010 May 15;51(1):421-31. Epub 2010 Feb 1.